Mulia is a food-lover’s paradise. Restaurant and bar options aplenty ensure even the fussiest eaters are spoilt for choice, with cuisines such as Indonesian, Indian, Korean, Italian, Thai and many more. You’ll want to put Soleil’s Sunday brunch on your must-do list, but be sure to reserve your table quickly because it books out two weeks in advance. 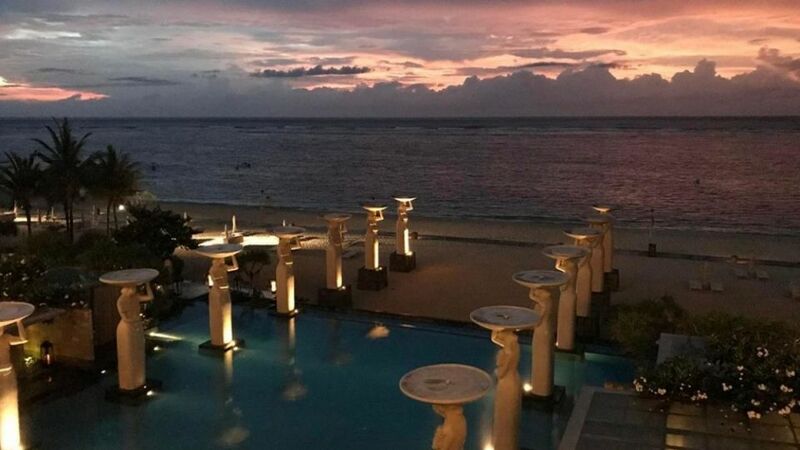 The restaurant is so popular and highly regarded that people staying in other resorts flock to this beachfront venue to feast on everything from a buffet of fresh seafood and a full carvery to vegetarian — and everything in between. The cheese selection alone will have you drooling, with more than a dozen of the finest (and expensive) varieties from around the world — including Bali. And then there is the dessert buffet, where sweets almost look too good to eat. Almost. Try the traditional stuff like chocolate cake if you prefer, but if you’re feeling a little adventurous your curiosity will be rewarded with melt-in-your-mouth treats like coconut jelly or pandan creme caramel. Don’t worry if you miss out on brunch (between 11am and 3pm) because Soleil is open for lunch, snacks and dinner throughout the week and the menu is impressive. Tip: Don’t have breakfast before brunch. And wear elasticised trousers. Seriously. There’s more to Mulia than just Soleil. The Cafe deserves a better name because the food choices are far more varied than any “cafe” I’ve ever been to. International cuisine shines here with several cooking stations manned by chefs. Help yourself to everything from Indian butter chicken to Chinese stir fry or Japanese sashimi. Want something a little different? Choose your own ingredients and have the chefs cook up a dish right in front of you. The best part of The Cafe is its Willy Wonka-style dessert rooms. Two sections are filled with pretty much everything: ice-cream, a chocolate fountain, freshly baked biscuits, hot dishes like bread and butter pudding or crepes, Indonesian delicacies and traditional creations such as creme brulee. Tips: Keep an eye out for the grill section (it’s easy to miss) and choose from a wide variety of meat or seafood for chefs to cook. Try the serabi solo. It’s like a thin crepe shaped into a bowl and filled with some sort of coconut fluff. Get it while it’s hot. An item you won’t find on the menu is available for those who know to order it, apparently: Freshly cooked naan bread filled with melted cheese and topped with sweetened condensed milk. Yum. If you prefer fine dining, check out the authentic Japanese at Edogin and watch the chefs create a delicious teppanyaki. Or, if you like Chinese food, Table8 — decorated in stunning porcelain pagodas — offers Cantonese and Szechuan selections. You can even choose your own ingredients and ask the chefs to create a more personalised dish. Try the dim sum. Tip: Teppanyaki buffet is available from Thursday to Saturday, 6pm to 11pm. If you start craving a little privacy and feel like a snack back in the comfort of your room, visit Mulia Deli to buy everything from cold cuts and cheese, to coffee, rolls, cakes, fancy desserts and tarts. 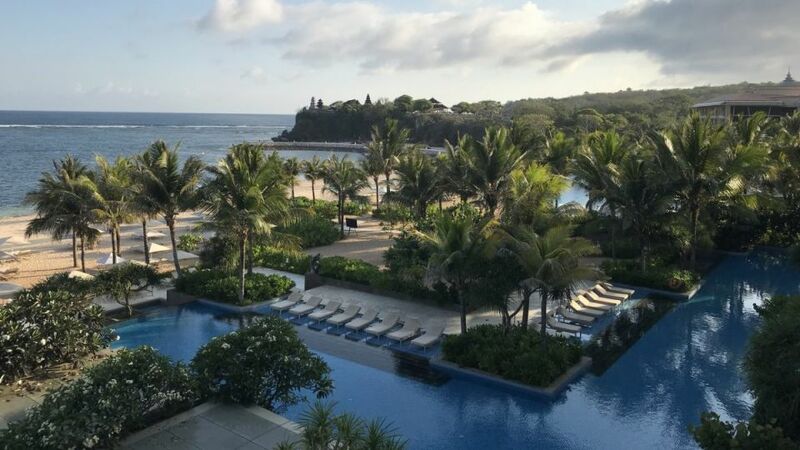 Grace Millimaci was a guest of The Mulia, The Mulia Resort & The Mulia Villas. They have not seen or approved this story.